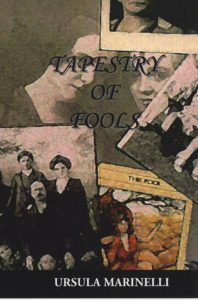 Tapestry of Fools interlaces the lives of people who cannot realize their futures until they accept and release their pasts. Lucianna DiMenna is a psychic who, unfortunately, is never wrong. Exiled from her small, Italian village for telling a young man more than he could bear, Lucianna becomes the proprietress of a hotel in Amalfi called Il Futuro. Having learned from her mistake, Lucianna prides herself on her ability to withhold painful, unalterable visions. However, if she does not release these visions, her own psyche suffers. For 40 years, Lucianna has eased her burden by painting faceless murals on the walls of the hotel's courtyard. The mysterious paintings become the backdrop for the story of her last guests, who come seeking Luciann's guidance but learn far more about themselves than they care to know. Ursula Marinelli traverses the chasm between this world and the next—walking the thin line between insanity and mysticism. Guided by a voice from the other side, Rose Ballentini grapples with her husband’s suicide, her daughter’s rejection, her search for a place in this world, and a motley band of suitors. 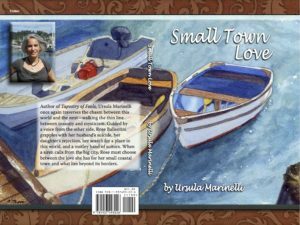 When a siren calls from the big city, Rose must choose between the love she has for her small coastal town and what lies beyond its borders.